FINALLLYYYYY. 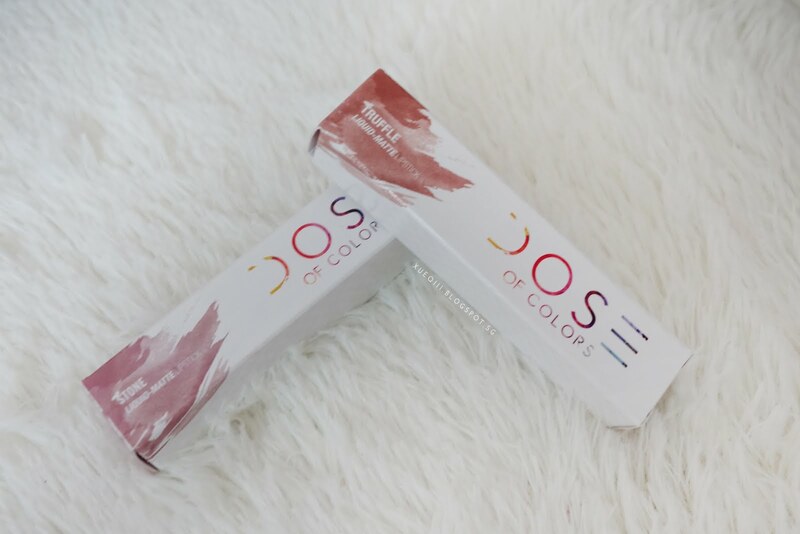 These are so hard to grab hold of, constantly out of stock. 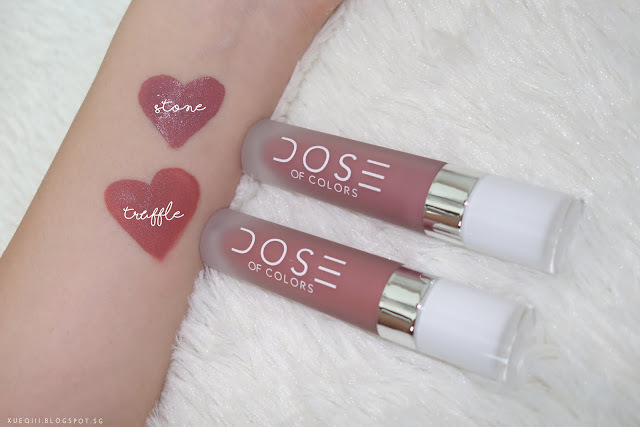 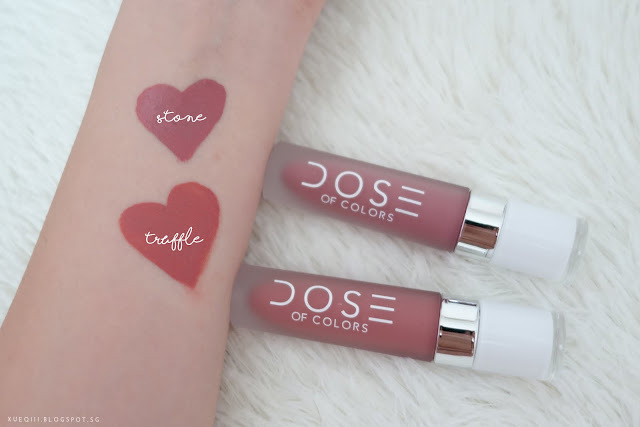 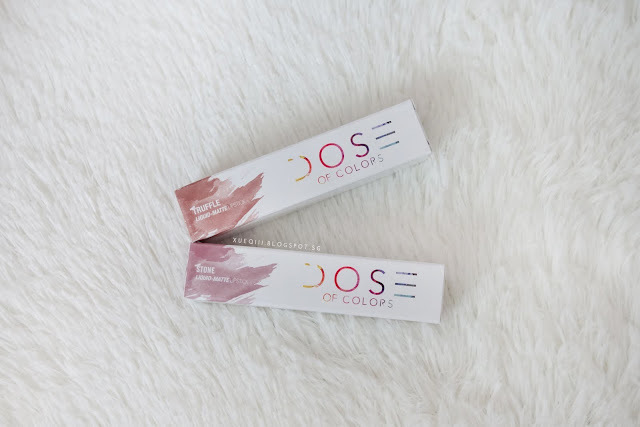 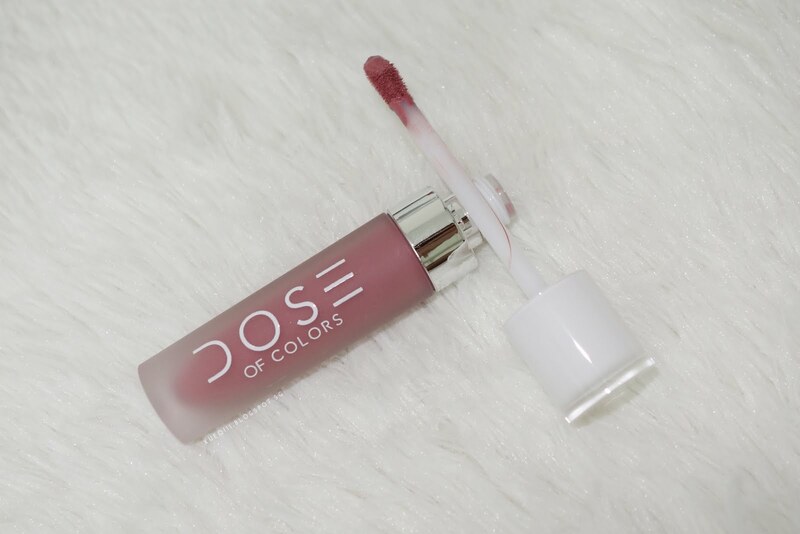 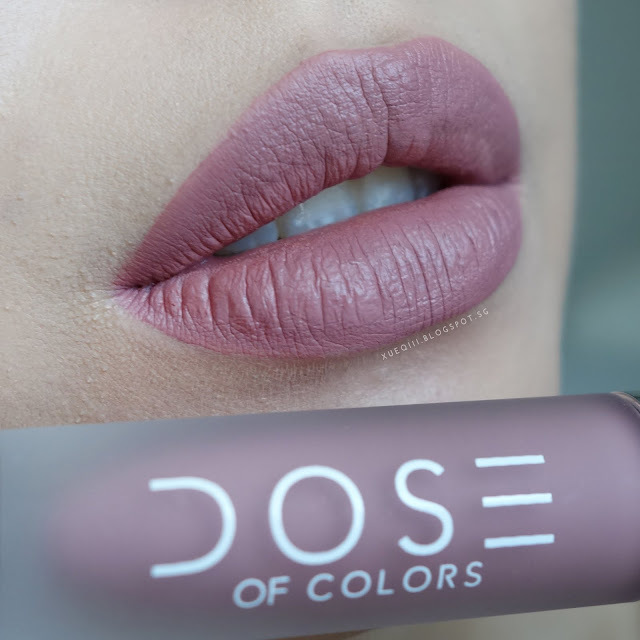 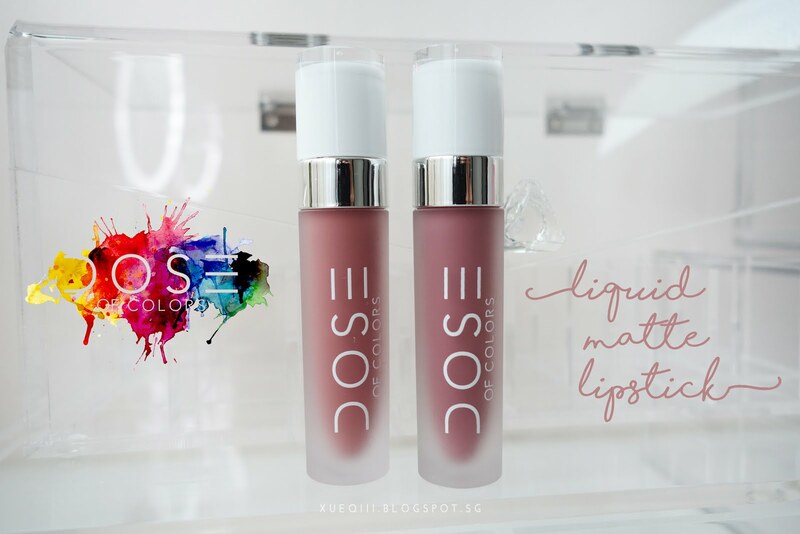 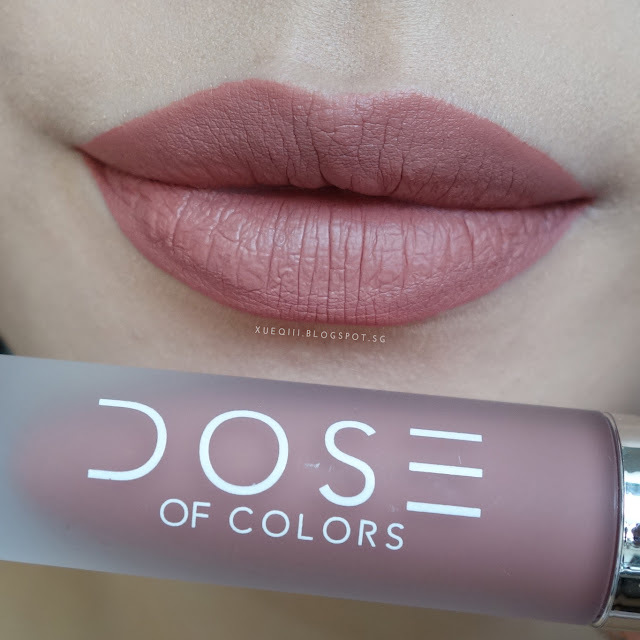 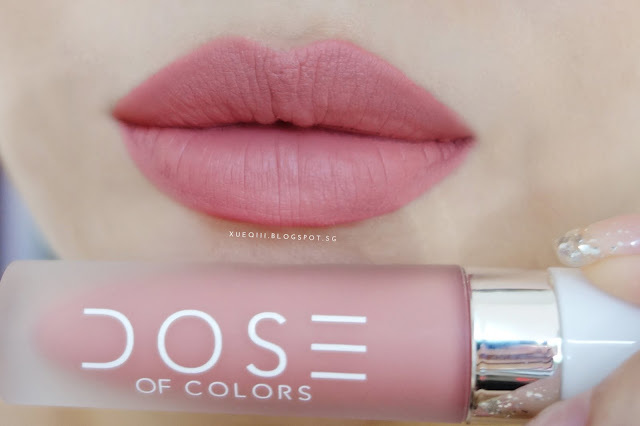 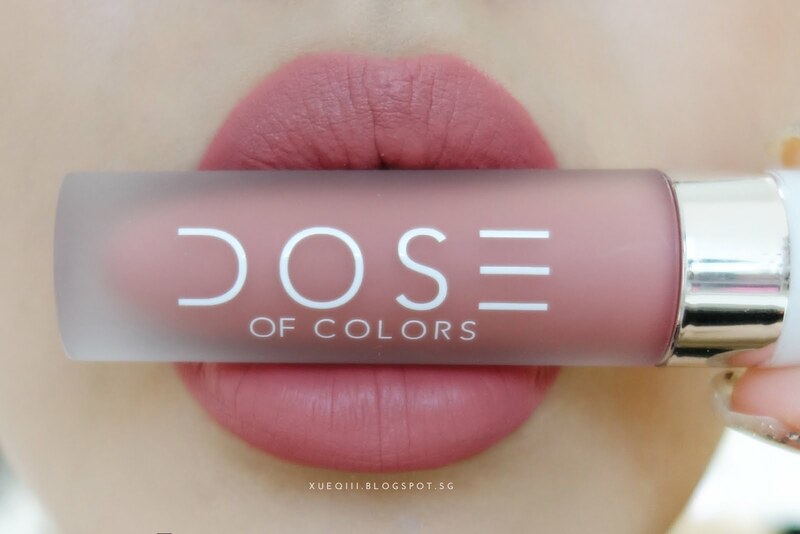 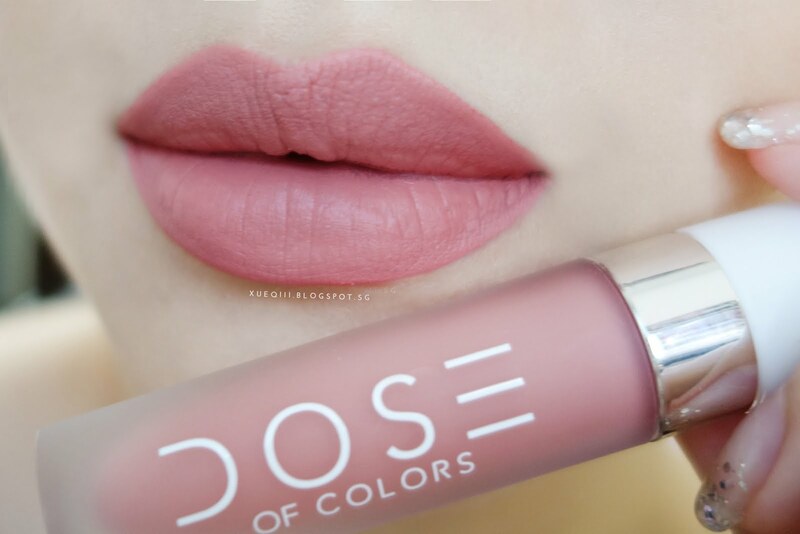 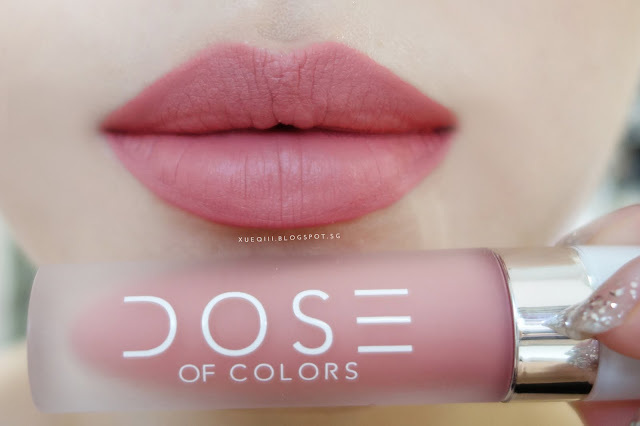 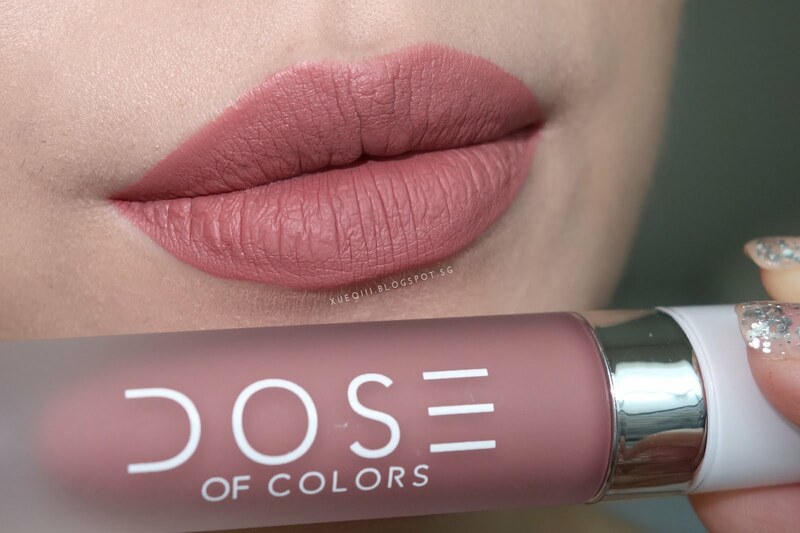 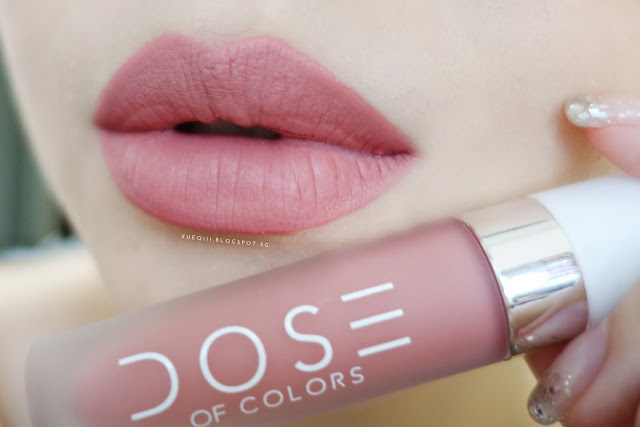 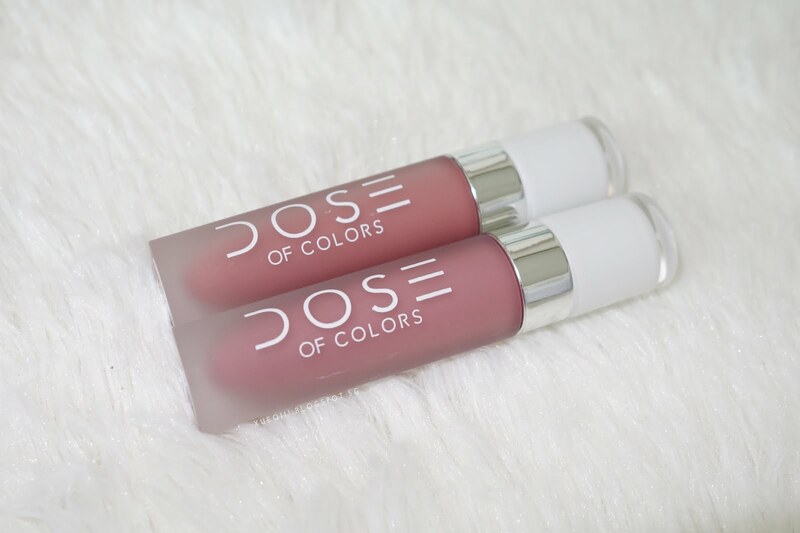 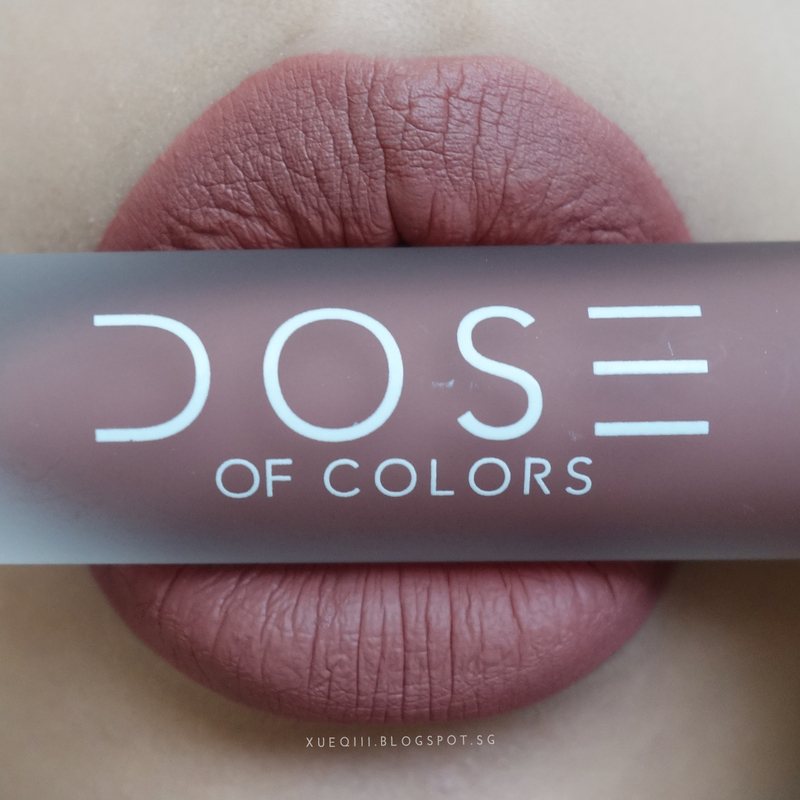 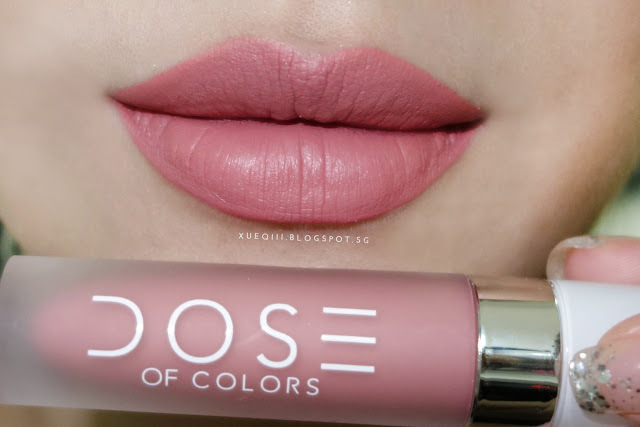 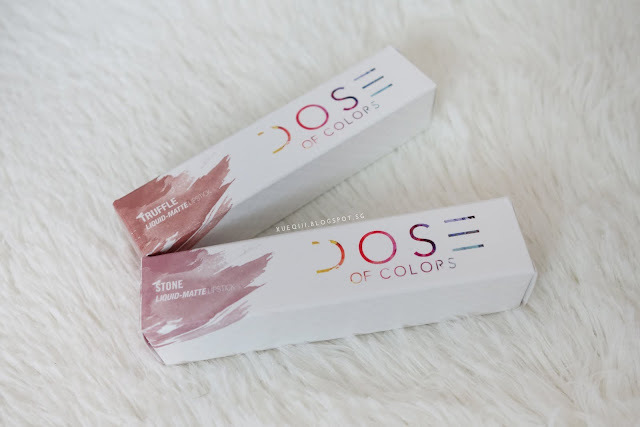 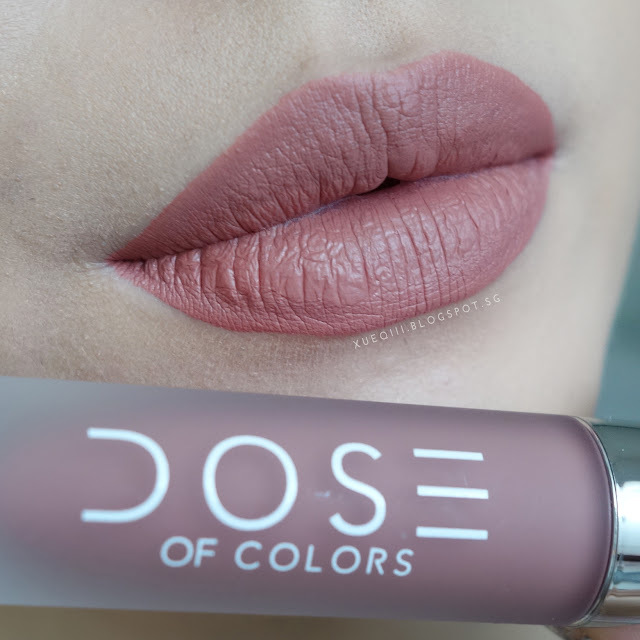 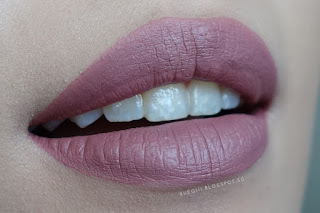 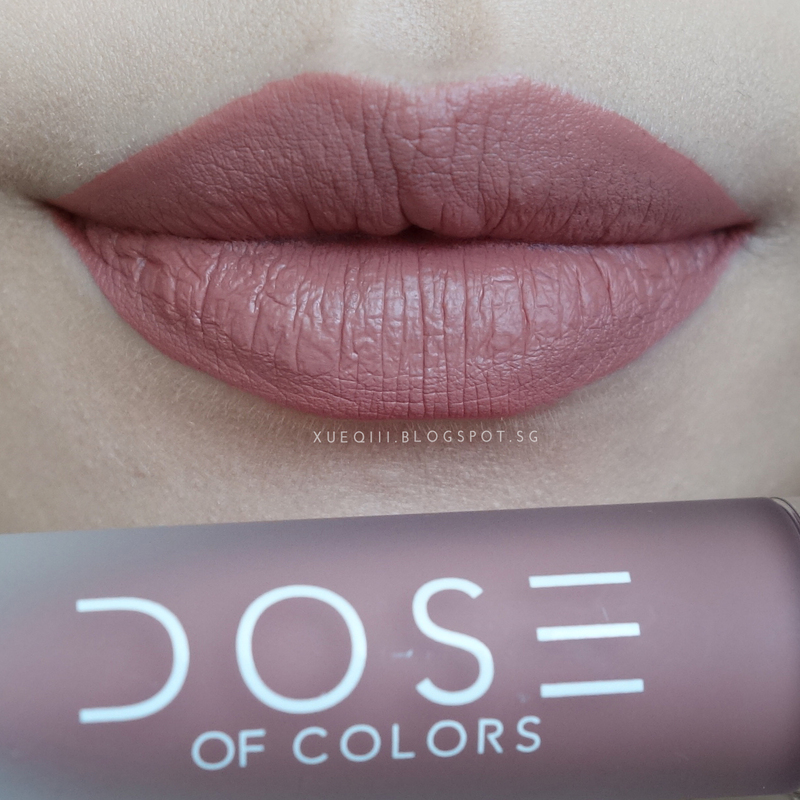 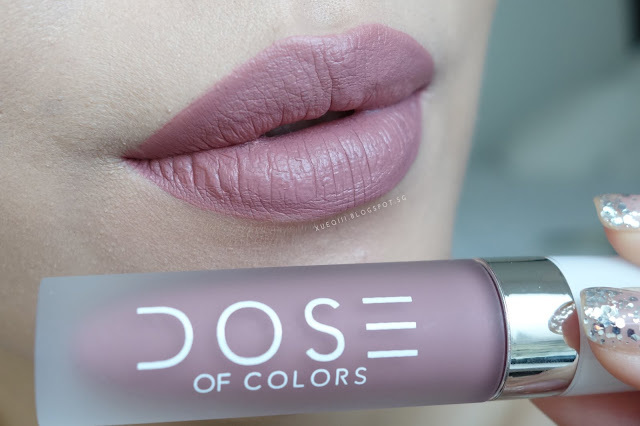 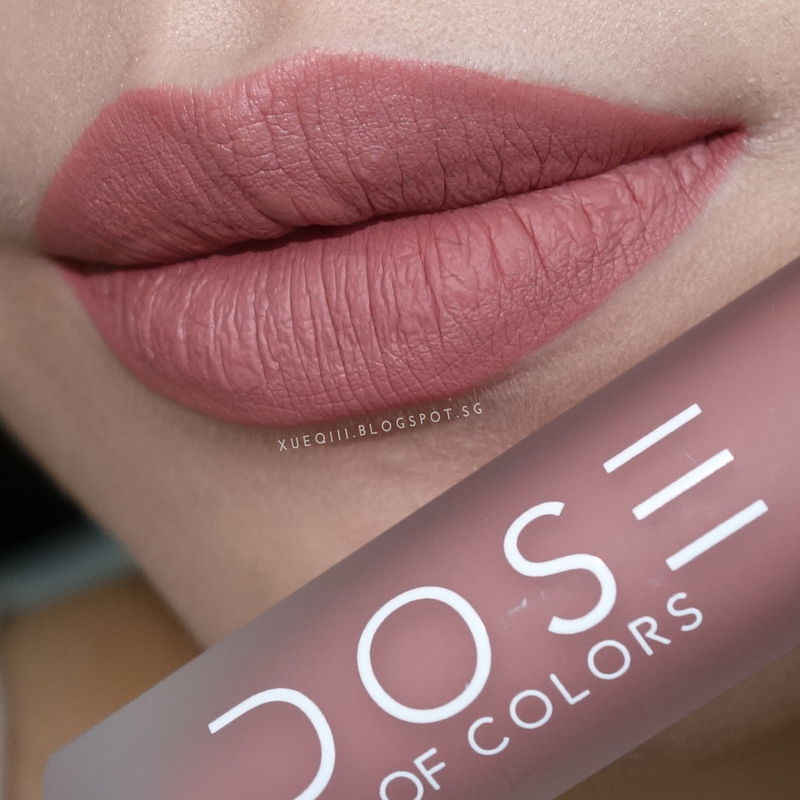 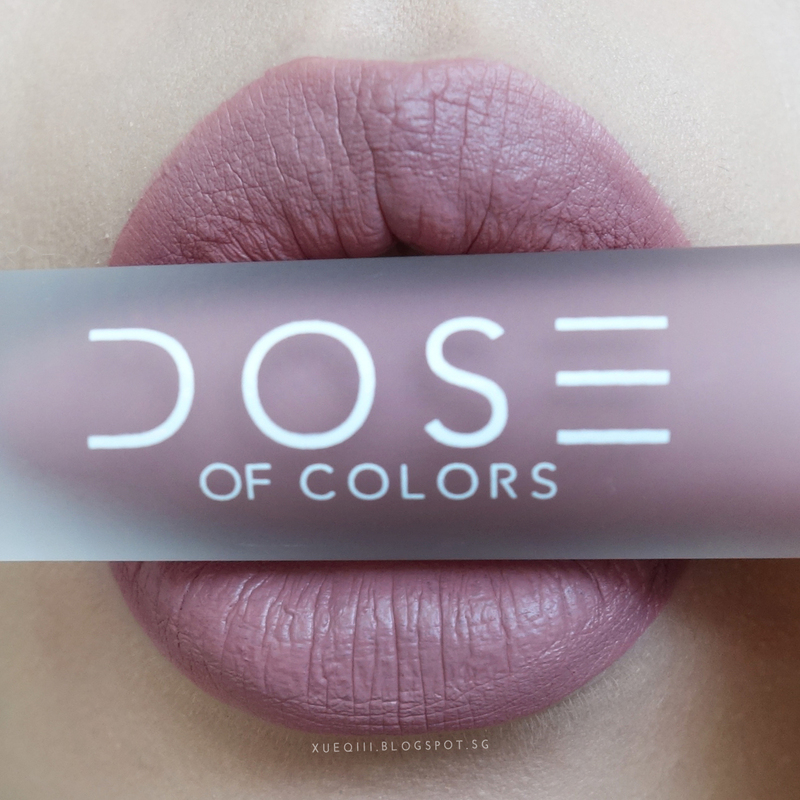 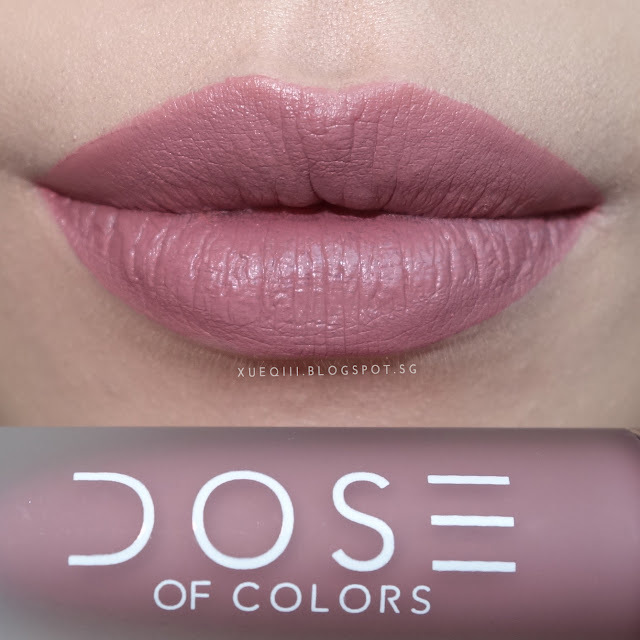 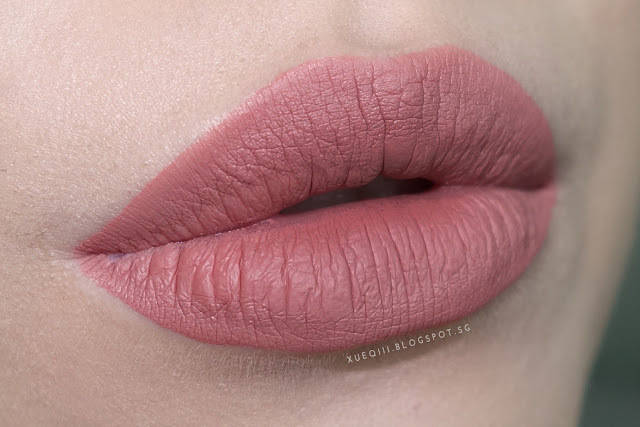 I got the Dose of Colors Liquid Matte Lipstick in Stone and Truffle. 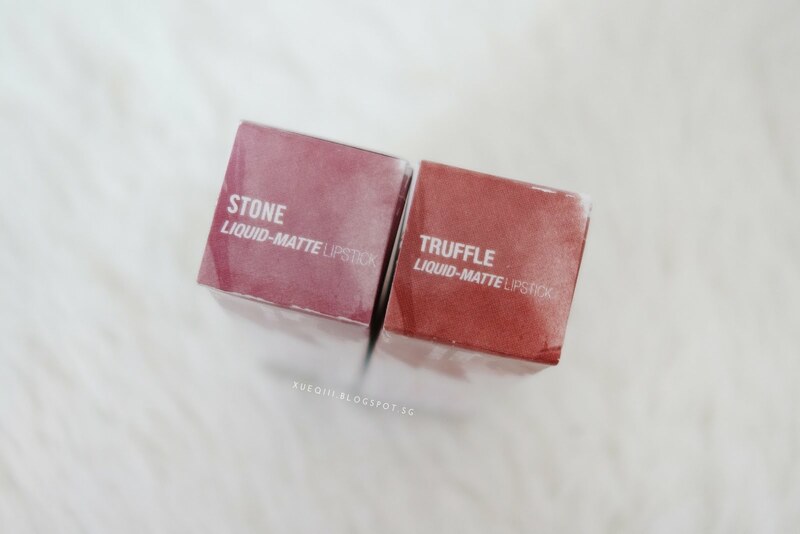 Sneak peak of the lippies in Stone and Truffle. 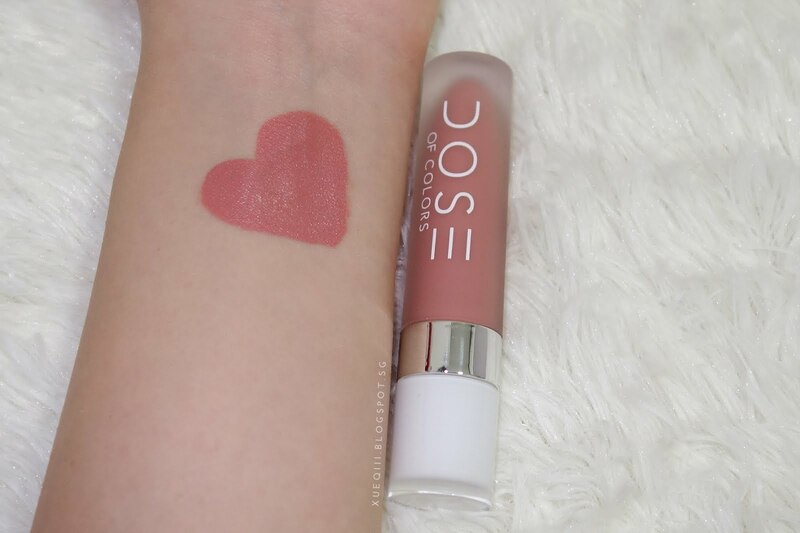 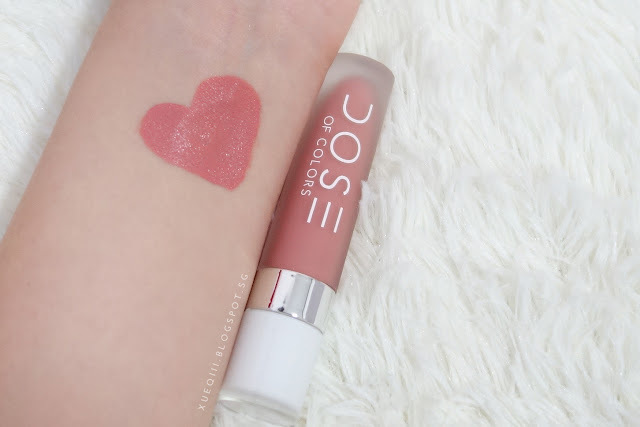 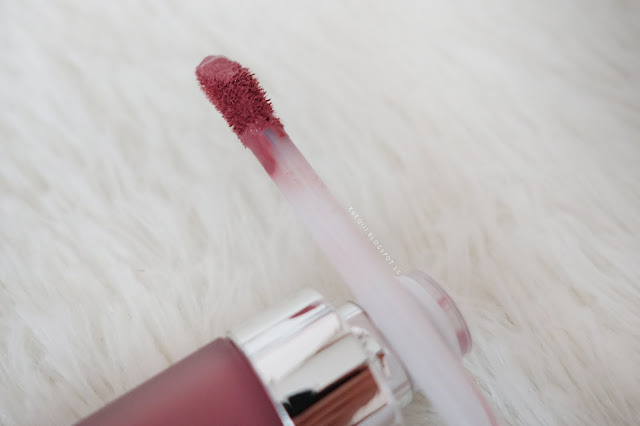 This has a thicker mousse-like consistency and dries to a complete matte finish. It feels so comfortable on the lips and not drying at all. 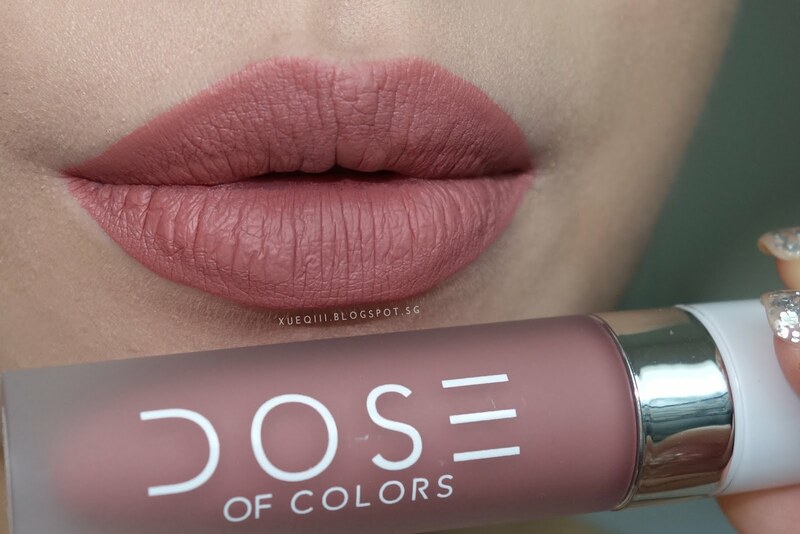 I guess 'weightless' will be a great word to describe how it feels on my lips. 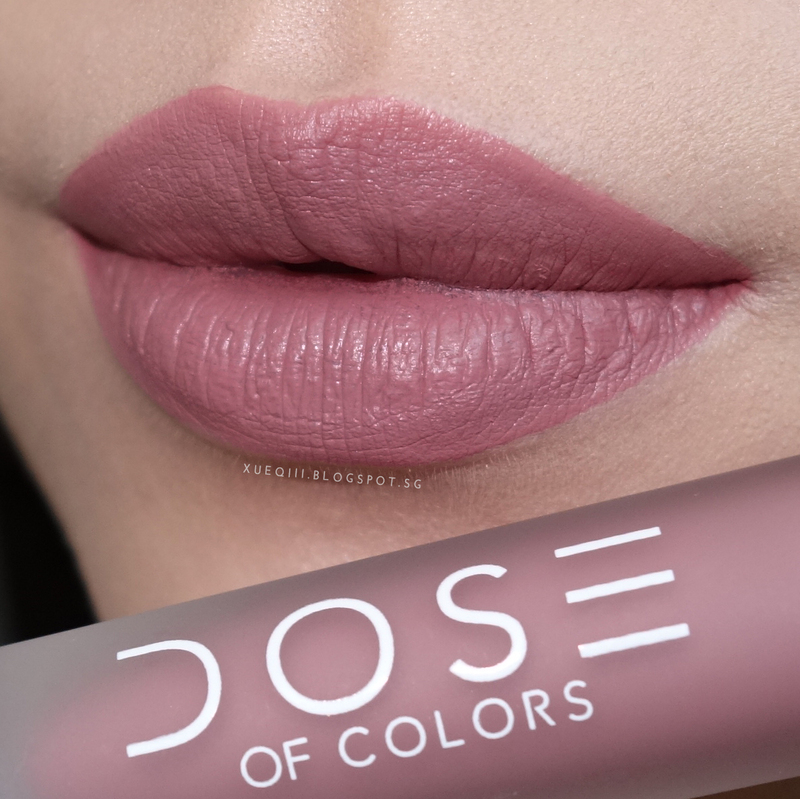 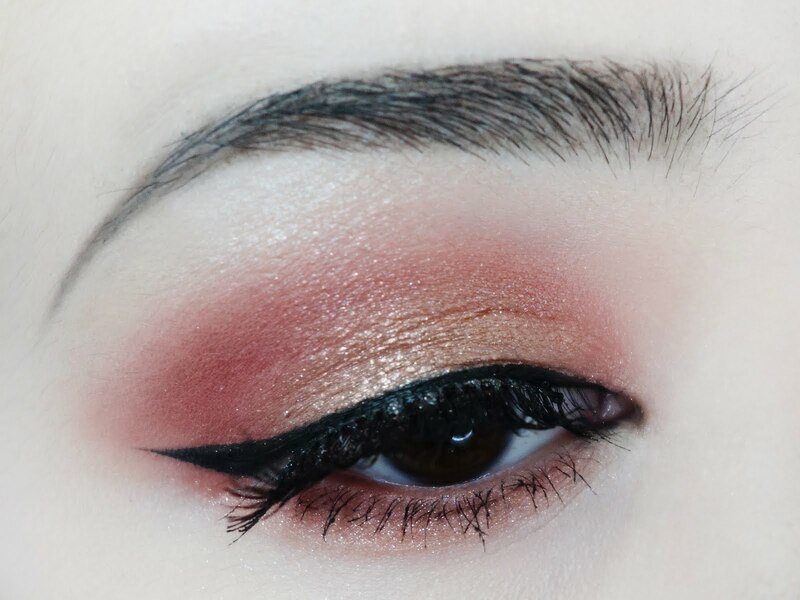 This formula is on-par with the Ofra ones. 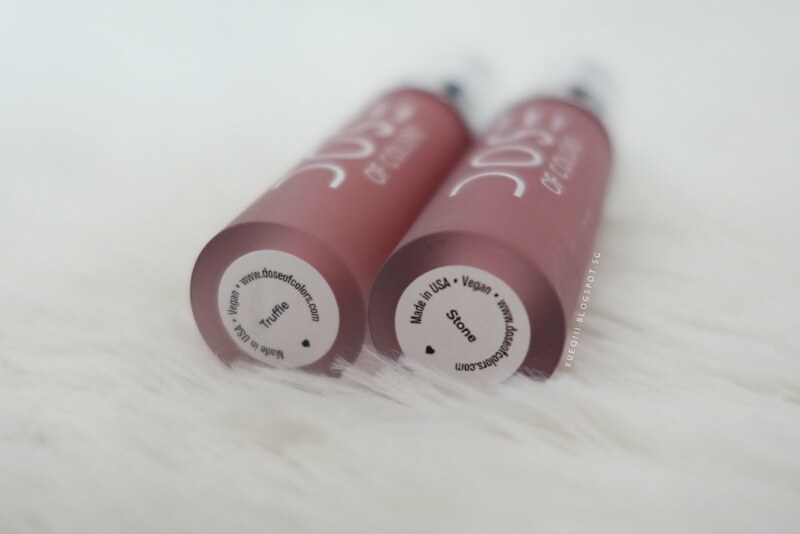 However the lasting power of these are slightly better. 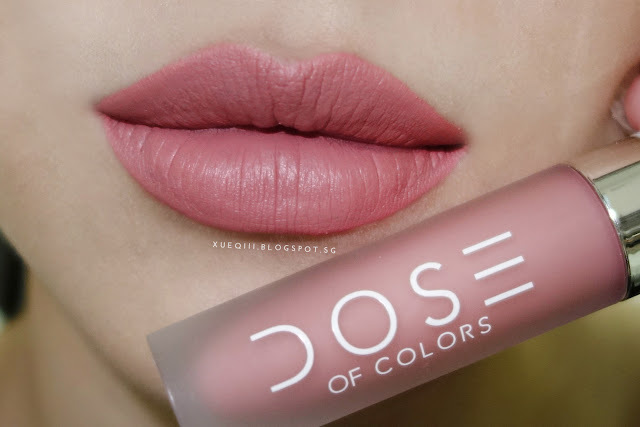 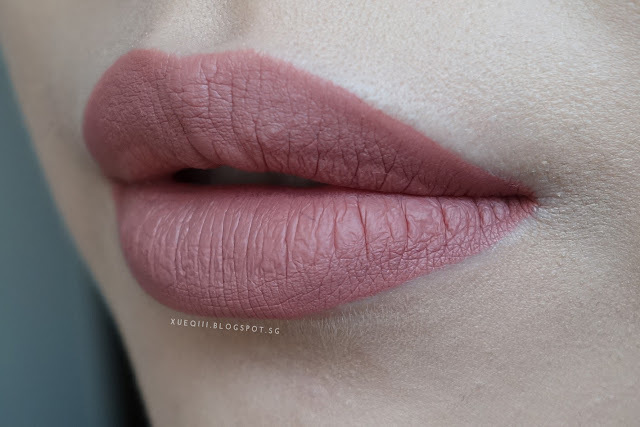 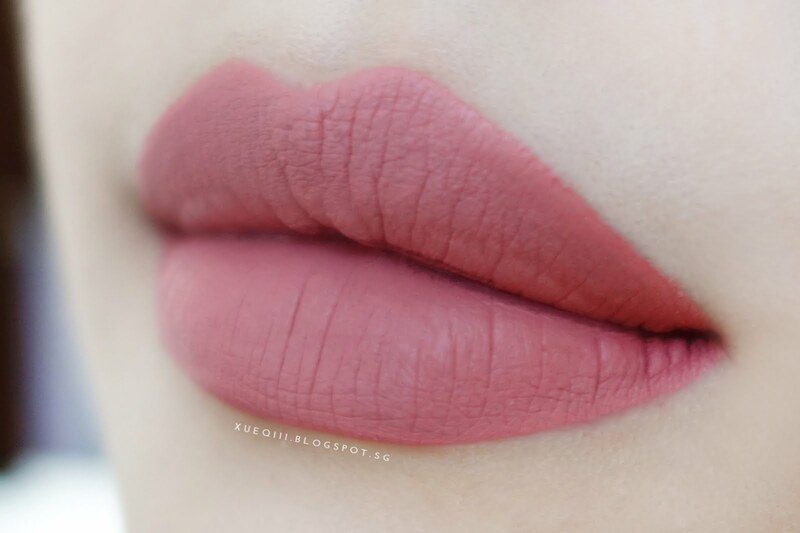 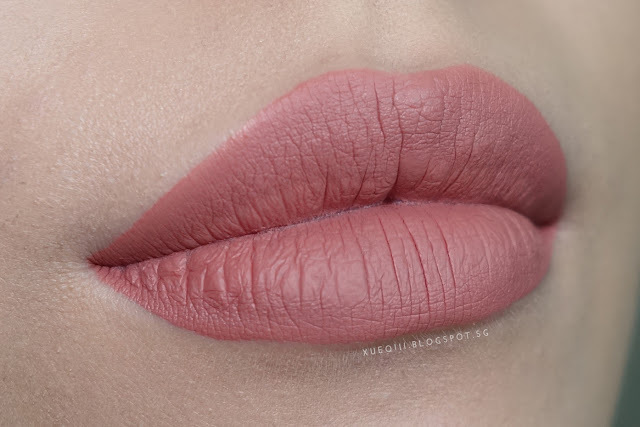 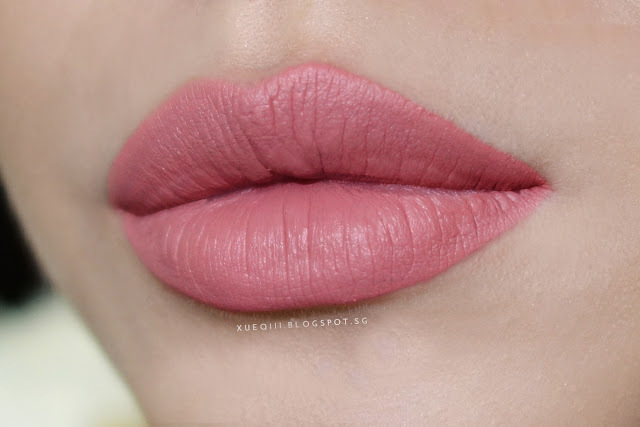 I had a full meal with this on and it only faded lightly on the inner bottom lip - more like a gradient effect. 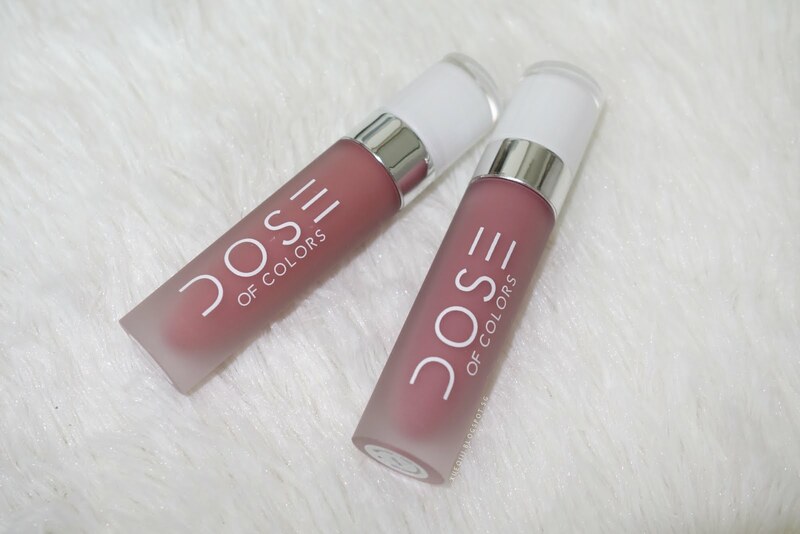 Highly recommend these. 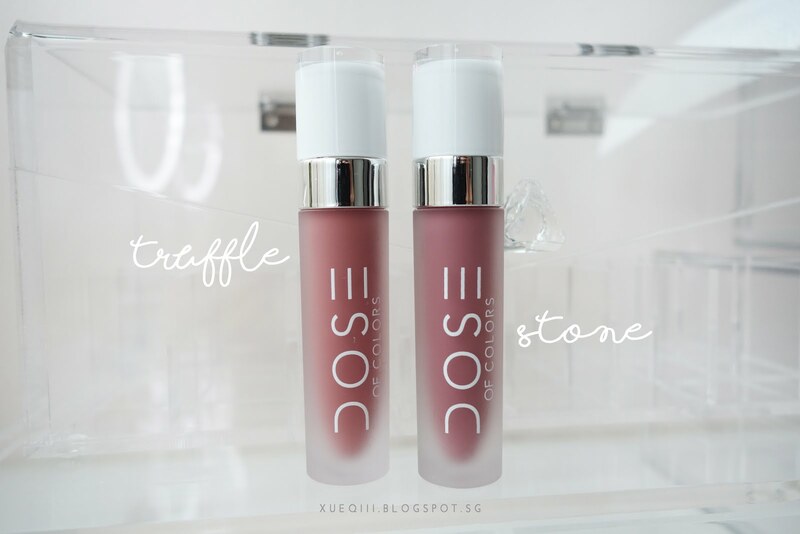 Hard to get hold of in Singapore but there are a few sellers on Carousell - Instock for $35 and PO for $26+ cheapest. 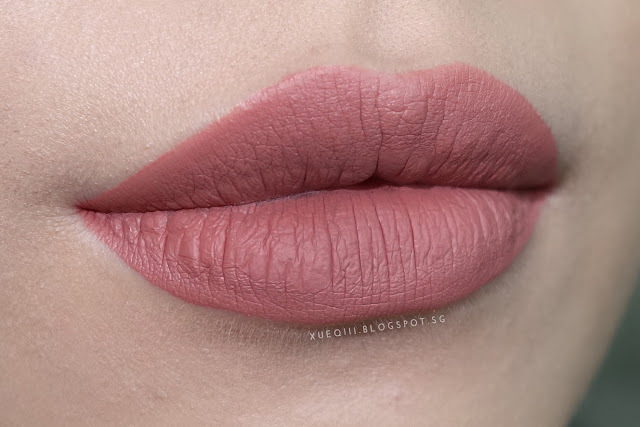 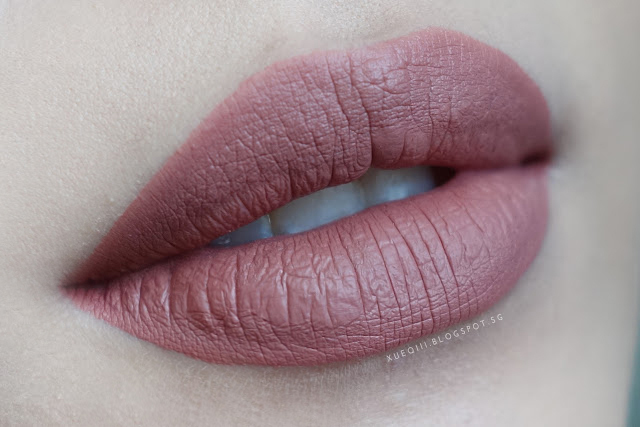 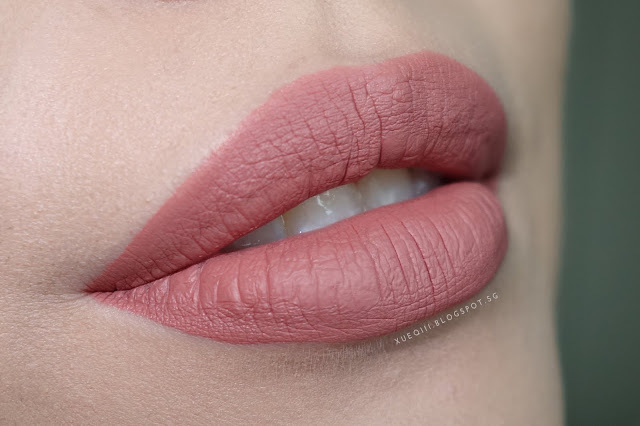 Loads, and I really mean LOADS of lip swatches coming up next. 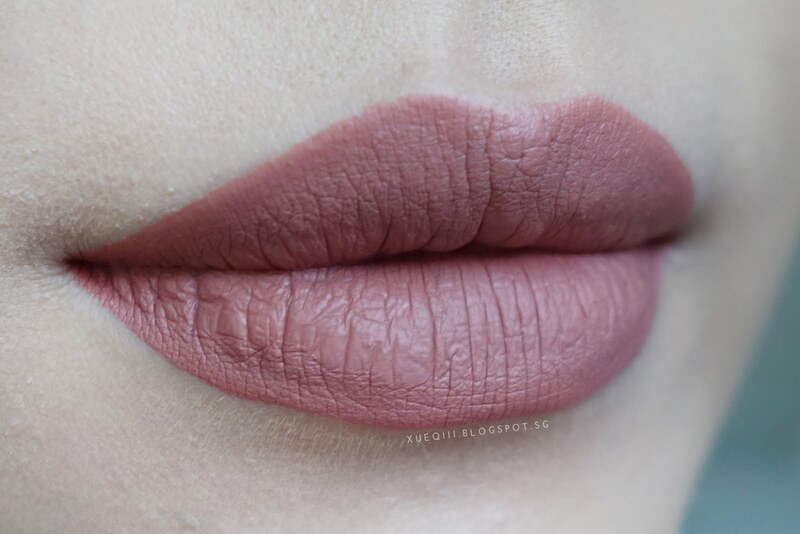 All these were taken under natural lighting and with flash. The colours are pretty true to the photos, you can also refer to the arm swatches.